As part of the second Lausanne-Orthodox Consultation there will be a very significant gathering of Orthodox and Evangelical Youth from across Albania. This will take place on the afternoon and evening of Tuesday 16 September. The event is ‘by invitation’ but if any young Albanian Christian is interested in receiving an invitation they should contact the organisers by using the contact form on this website. The main speakers during the Youth Gathering will be Rev. Austin McCaskill from the Reformed Church in America, USA and Bishop Angaelos of the Coptic (Egyptian) Church. There will also be ample time for small group meetings and for Orthodox and Evangelical youth to build personal relationships. Rev. 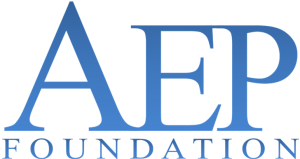 Austin McCaskill is a missionary pastor from the Reformed Church in America who serves as the administrator of the Albanian Encouragement Project. The Albanian Encouragement Project (AEP) was founded in October 1991 by Evangelical Christian organizations and churches wanting to cooperate together while remaining autonomous in their individual ministries in Albania. Seeing that Christian witness has sometimes been marred by sinful individualism and needless duplication members of AEP “pledge ourselves to seek a deeper unity in truth, worship, holiness and mission”. 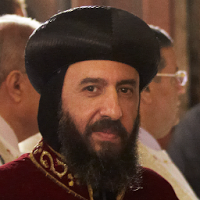 His Grace Bishop Angaelos, General Bishop of the Coptic Orthodox Church in the United Kingdom, was born in Cairo, Egypt and emigrated to Australia during his childhood with his family. He later obtained a degree in Political science, Philosophy and Sociology, continuing on to postgraduate studies in law while working in the same field. In 1990 he returned to Egypt to the monastery of St Bishoy in Wadi-El-Natroun where he was consecrated a monk by the late Pope Shenouda III and served as his private secretary, until 1995 when he was delegated to serve a parish in the United Kingdom. Bishop Angaelos is active ecumenically and travels extensively around the world to speak at various youth conferences and conventions. In recent years, the views of Bishop Angaelos on matters relating to the Church in Egypt, the Middle East and North Africa have been increasingly sought by the local, national and international community.